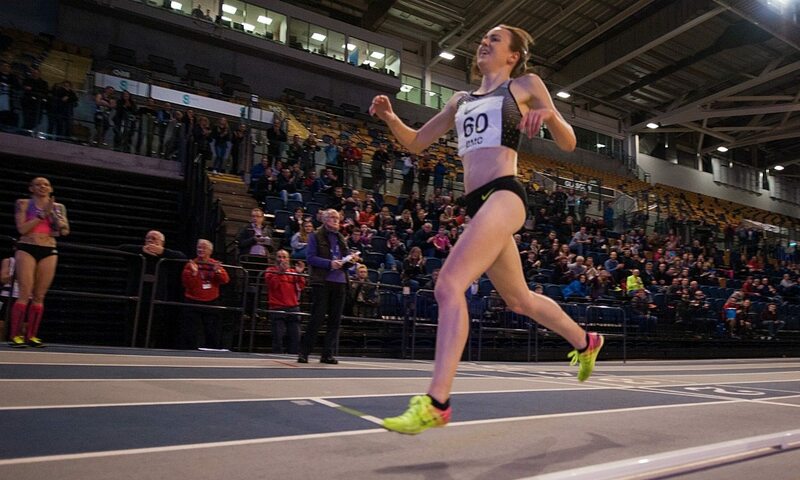 Laura Muir delivered a remarkable statement of intent for the year ahead by smashing yet another British record – this time the 5000m indoor mark – during the GAA Miler Meet at the Emirates Arena in Glasgow. It was only her second track race over the distance. In her first outing of 2017, the Scot clocked 14:49.12 to destroy the record of 15:03.71 set by compatriot Liz McColgan-Nuttall back in 1992. Muir also covered the first 3000m in a time of 8:59.39, inside the qualifying standard to run the distance at the European Indoor Championships in Belgrade this March. What is also noteworthy is the fact that she ran 16 laps out on her own, steadily cranking up the pace. She is now second on the European indoor all-time list for 5000m and moves into the top 10 on the world indoor all-time list too. It is the fastest time by a Briton indoors or out for 11 years. A stint of winter training in South Africa certainly appears to have paid dividends already. “I’m really pleased,” grinned Muir, who broke Kelly Holmes’ long-standing British 1500m mark twice last year. “It’s been a long time since I ran a 5000m and it’s the start of the year as well so you’re always a little bit apprehensive about how things are going to go. But I wanted to just go out there, give it my best shot, run three-minute kilometres and then wind it up – and that’s what I managed to do. “The training stint in South Africa went really well and I could tell from my training when I got back … I was doing PB sessions over the 5000m training so I knew things were looking good. But you just never know until you race on the day. Having started in a field which was only competing over 3000m, the mental fortitude she displayed to run out on her own impressed. However, she insisted she just kept things simple.